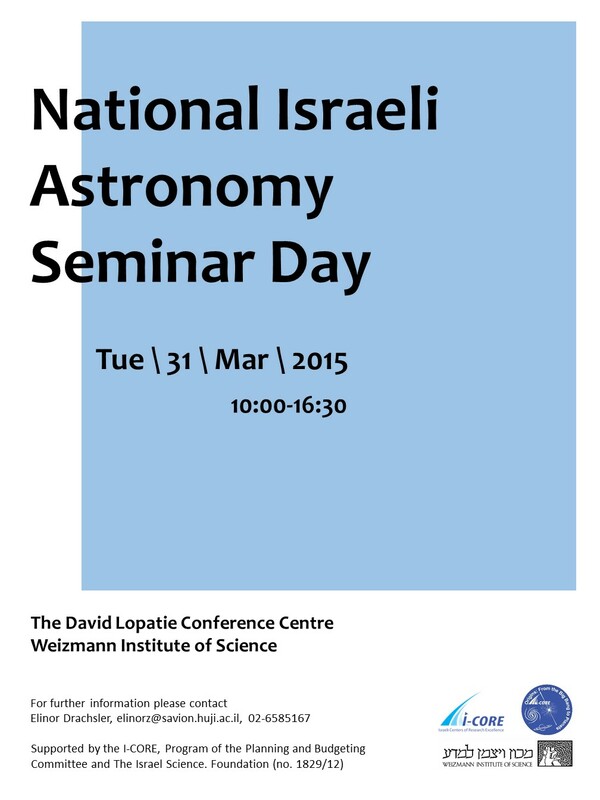 The National Israeli Astronomy Seminar Day, will be held at Weizmann Institute on Tuesday, 31 March 2015. Organizers: Boaz Katz and Elinor Drachsler. Registration is free. Click HERE for registration. The meeting point will be at the main gate of the Safra Campus. We will meet at 08:15. The Bus will leave at 08:30. If you'd like to join the shuttle please send an email to elinorz@savion.huji.ac.il by Sunday, March 29. 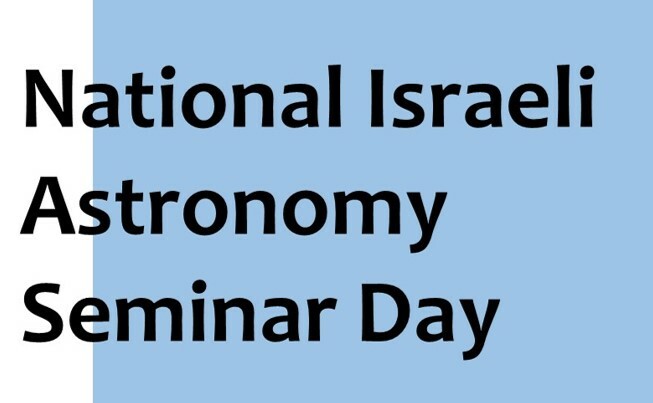 For more information, please contact Elinor Drachsler (elinorz@savion.huji.ac.il).